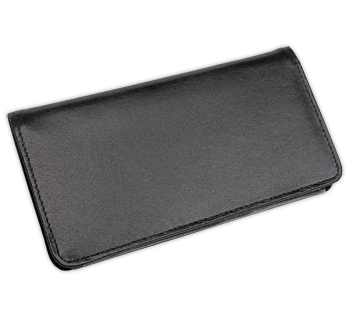 This classic black leather checkbook cover is a simple but stylish way to carry your new personal checks around with you. 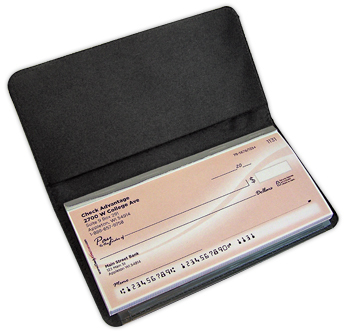 Fashioned from split-grain leather and priced affordably, there are two pockets to hold both your checks as well as the transaction register you'll receive for free from Check Advantage every time you order personal checks online. For added convenience, a duplicate check flap has been stitched on the bottom to make keeping track of your checking account extra easy! 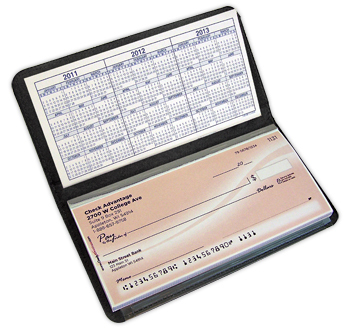 Order your own Basic Black Leather Checkbook Cover right now!